This is going to be a short post today. I am under the weather. I’ve had this painful and recurring heartburn/chest pain for a few days which I took to the doctor’s this morning – after navigating the ludicrous and frankly offensive process of proving to the receptionist that I felt sick enough to be granted an audience with a GP. It’s not serious but is to be treated with a course of tablets and some changes in diet – some most unwelcome, including a reduction in chocolate! I’ve never had heartburn or something similar before and so I have found it more than a little disconcerting. Although I know I will live, in the mind of someone who suffers from anxiety a health scare, no matter how minor, is never a cause for celebration. 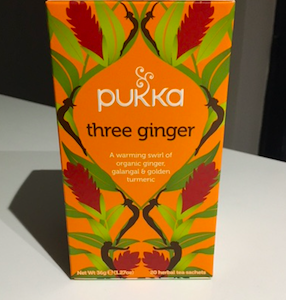 So I am left feeling sore (in pain and discomfort), a bit off-colour more generally (anxiety-related) and tired – not only that I am drinking three ginger tea (it helps apparently)! Not a great day.